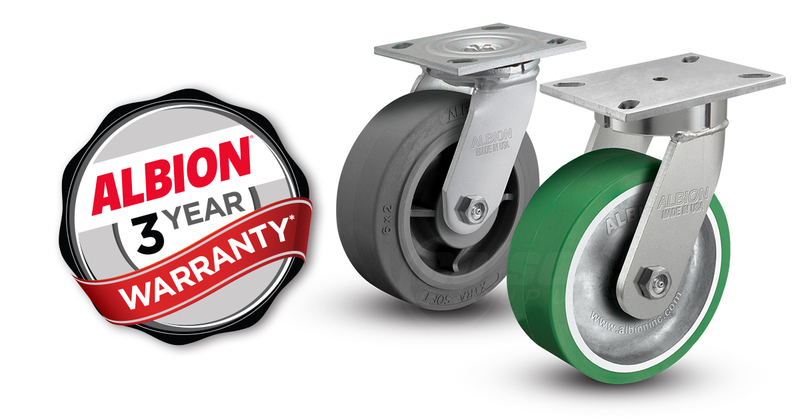 All Albion casters are backed by a leading 1 or 3 year warranty, and are tested to the highest standards to ensure that you get the most out of your caster investment. 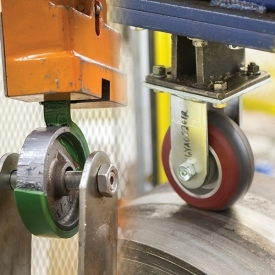 Downtime and injuries are taken seriously with Albion, and that is why we test to ANSI ICWM:2012 standards and are active members with the Institute of Caster and Wheel Manufacturers (ICWM) and American National Standards Institute (ANSI). We continually strive to develop new materials, processes, and designs to continue to advance our products to ultimately deliver more value and longer lasting products to our customers. We have leading test labs around the globe at our facilities, and can test casters in some of the most abusive possible ways. We regularly test competitors’ casters to ours to show new customers the extra value they can expect from Albion. Below is a list of common quality testing equipment that we use to evaluate our production and determine our load ratings on a given caster as well as run an comparative tests against our competition. Our engineering capabilities also play a critical role in ensuring the design will provide the highest quality parts. We utilize our global tools and resources, including: solid 3D modeling, finite element analysis (FEA), mold flow analysis, 3D printing, and rapid prototyping before tools are even created to make sure the product will meet or exceed market and Colson Group standards. Below are some details on quality tests we perform to ensure each caster meets our standards. This is a roll-ability test.